Pre-sale special, call us today for more details! The Saffron features a spectacular 1,312 sq. ft., 3-bedroom, 2 1/2 bath, 2-storey design. The open-concept layout features 9′ ceilings, oversized windows and a large great room with a built in entertainment centre with tiled gas fireplace. The executive kitchen features a large island and walk in pantry with available eat on bar, quartz countertops, tiled backsplashes, and custom cabinetry. Laminate floor options throughout the main floor complement the overall design and flow of the home. 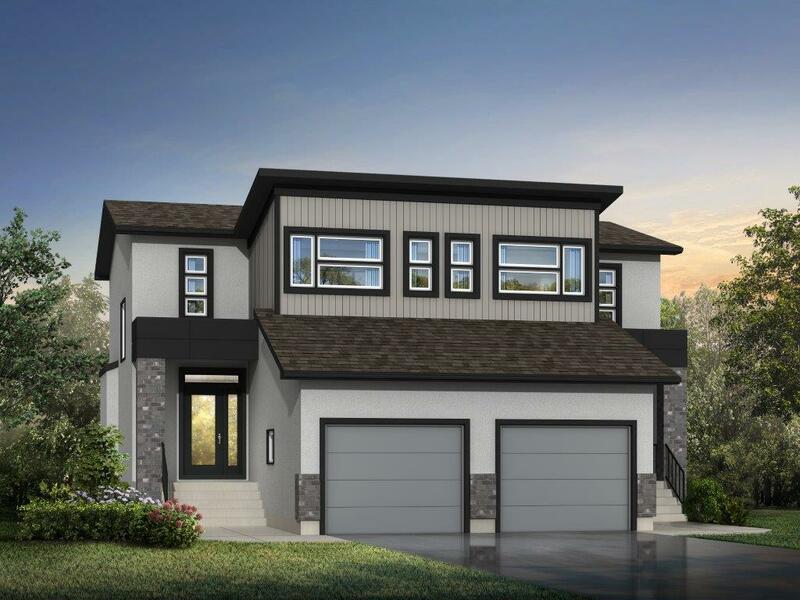 The second floor features a large master bedroom with 3-piece ensuite and walk-in closet, plus a very large second and third bedroom with full bath. The laundry room is conveniently well-located on the bedroom level. The exterior shines with enhanced brick and wood detailing and the home is equipped with a large attached garage and full driveway. Log in or sign up to instantly see The Saffron II.